The Arizona Cardinals are the oldest professional football team in the US. Based in Phoenix, Arizona, they are part of the Western division in the National Football Conference (NFC) and they compete in the National Football League (NFL). Their home stadium is the State Farm Stadium which opened in 2006 in Glendale. The Cardinals are under head coach Kliff Kingsbury. 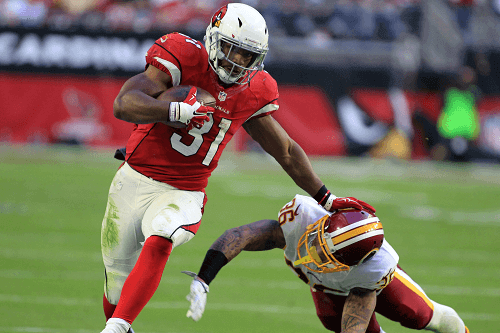 Read on for more on the Arizona Cardinals’ performance history in the league, and the best sportsbooks for betting on the Cardinals. Established in 1898 in Chicago, the Arizona Cardinals joined the NFL as a charter member in 1920. They moved to their current home state before the 1988 season and have been there since. The Cardinal’s team colors are cardinal red, black, and white. While their logo is a cardinal bird. The Cardinals have won two NFL championships while they were in Chicago in 1925 and 1947. Their first win was controversial, with the supporters of their opponents – the Pottsville Maroons – claiming that they won the title. Their second win was nearly two decades before the first Super Bowl. But they have failed to win the Super Bowl Championship. The NFC West in 2008, 2009, and 2015. They’ve had ten NFL appearances over the years, winning the 1947 championship. They lost the 1948 championship to the Philadelphia Eagles. In 1974, 1975, and 2014 they didn’t make it past the NFL wild card playoffs. While they didn’t get past the divisional playoffs in 1998, 2009. And in 2015, they couldn’t break into the Superbowl 50 finals, losing to the Carolina Panthers. However, 2008 was almost their year where they made to the Super Bowl XLIII finals, losing to the Pittsburgh Steelers. For those looking to place bets on the Arizona Cardinals, they have progressed in the championships but have failed to take home any major silverware in recent years. The best betting options in favour of the Cardinals is in the playoffs and NFC divisional championships. This team’s strength lies in their ability to work together. But, their weakness is their defense which is what has lost them games over the years.